A Certificate Signing Request (CSR) is an intermediate form of an SSL certificate that enables a Certificate Authority (CA) to generate a signed SSL certificate and verify the identity of a domain’s owner. A CSR is an encoded file that provides you with a standardized way to send us your public key along with some information that identifies your company and domain name. 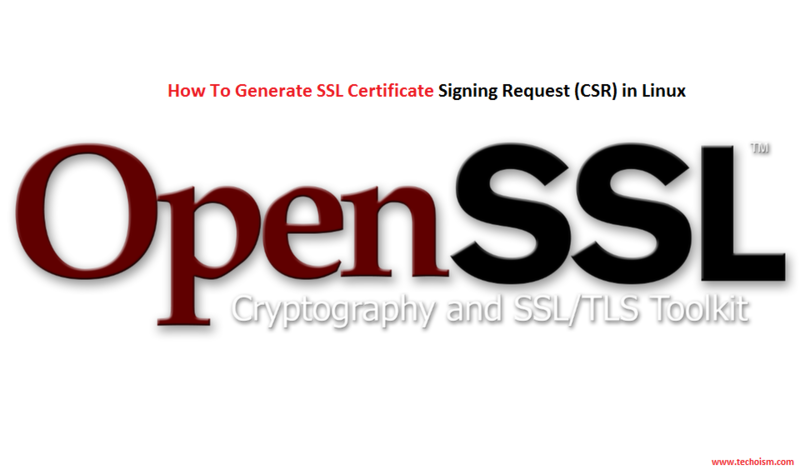 In this article we will help you how to generate SSL CSR in Linux. First we need to install the required packages. If the required packages is already installed then ignore this step. After generating private key, next you need to generate CSR using the above key. The command will ask some information regarding the domain. Organization Name (eg, company) [Default Company Ltd]:Techoism Pvt. Ltd.